The counselor’s warm and engaged attention creates a safe environment where you can relax and mindfully make contact with your experience as it unfolds. Putting this experience into words has many benefits, some of which are just beginning to be understood by neuroscientists. Beyond this, verbalizing your experience in the presence of an interested listener changes your relationship to your own thoughts and feelings. You gain a new perspective on things, and with that greater clarity about what you want to do. What’s important to know is that this process can be halted when you are working with a therapist you do not feel comfortable with. Like all relationships, the therapeutic one depends on a kind of “chemistry” that you’re naturally going to have with some people more than others. We offer a free initial 30-minute consultation so that you can get a sense of whether the counselor you’re working with is a good fit for you. As person-centered, strengths-based counselors, we work under the assumption that you—on some level—already have the resources needed to solve your problem, and that the purpose of counseling is to activate them. This is in contrast to deficit-oriented approaches that see therapy as a process of installing something you are missing (whether it be “skills” or “knowledge” or something else). We can fall out of touch with our own sense of what we want and need help reconnecting with that inner voice again. We become divorced from our internal sense of what’s best for us in a situation, what psychologist Carl Rogers referred to as the “organismic valuing process.” Exploring our inner life in the presence of an attuned, empathic listener can enable us to reconnect with our intrinsic wisdom. We’ re so focused on problems that we cannot see solutions. The brain has two tendencies that can get us into trouble here. First, it has a “negativity bias” that privileges information about what’s wrong over information about what’s right. Second, the brain is plastic, which means that it changes in response to what we pay attention to on a regular basis. The end result is that we can get locked into habits of perception that amplify negative emotions, making it easy for us to notice problems and hard to see solutions. Our strengths need to be witnessed—and named—in order for us to recognize them. Unfortunately for many of us, the environments we grew up in failed to provide this kind of reflection, and we find ourselves unaware of our gifts. Research findings indicate that only about 1/3 of people can identify their own strengths, and only 17% make frequent use of these strengths each day (Biswas-Diener, Kashdan & Minhas, 2011). 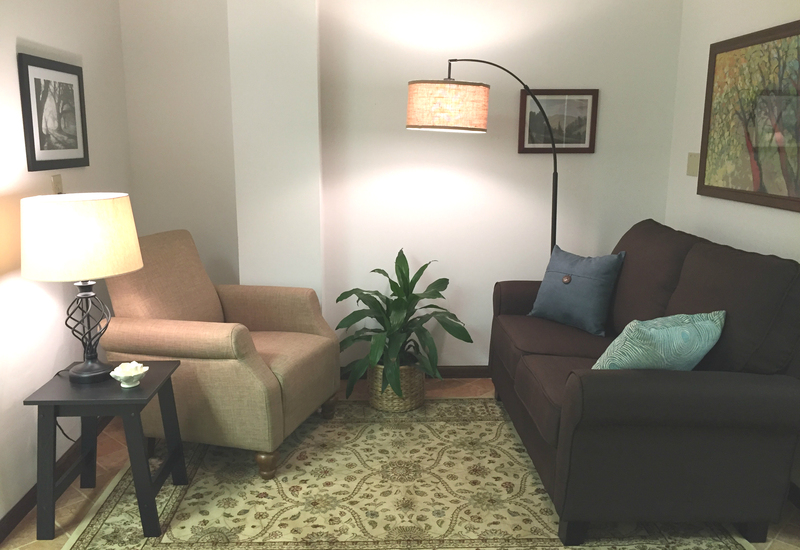 Counseling has something of value to offer here. A counselor can help us open up to information coming from within us about what we need, as well as information coming from outside of us that can expand our limited appraisal of situations. And by taking an interest in our gifts as well as our problems, the counselor can help us realize latent strengths and apply these strengths to live more fulfilling lives. Learn more about individual counseling with Matt George, M.S., LPC, NCC and Erin Olson, M.Ed., M.S., LPC, NCC.